Patty has been an amazing blogger bestie since we first stumbled across each other a few months ago. She is witty, charming, funny and also quick to leave a comment and send you a follow up email just to say hi. Love her and have fallen equally in love with MC, every woman's dream of a husband.Why? because he has no worries turning Patty's wishes into reality (hint, hint, to all the hubbies and boyfriends out there!) Today they share some tips on how they collaborate on projects or in layman's term, how MC turns Patty's Epiphanies into reality. Hi, LIVE LAUGH DECORATE readers and followers. Nicole and Debbie have asked me, well actually MC, and me, to fill in for them today. I actually think MC is who they really want. I come with the package, by way of Patty's Epiphanies! They asked for a few tips on how we work together on our projects.If you don't know who we are you are in for a shock. MC and I are in our Seventies, Yes, 70's!!! I bet only a few of you were born when we were married 53 years ago! MC which stands for "MASTER", Carpenter, Chef, Craftsman,Carver, Chauffeur, Computer Wiz etc.....lives by the philosophy that if he can do something, why pay someone else to do it! And if he can't, he'll figure out how to do it! That's what Google is for. I started writing Patty's Epiphanies four years ago. It all began when our Granddaughter thought I should share my out of the ordinary and wild ideas with the world!! I had no idea of the wonderful ride that was ahead of me. What has resulted is a Blog about my "Epiphanies" and MC bringing them to life! Amazing. I thought about which "Epiphany" I would share with everyone today. Didn't take too long...I looked back to the beginning of the Blog, and found the best example to describe what occurs with MC and me! At this time, we lived in a small condominium in Charlotte, N. C. Just for the record, MC and I have lived in 35 homes ...to date! It came with standard builder cabinetry in the Master Bath and the Kitchen. After a few months...yes, I had an "Epiphany"! The following is the Post with the First, and Second Epiphany, to be published on Patty's Epiphanies. could handle the project. The first requirement! drama to another level. We have done this effect before. We use fishing line to hang the "second" mirror. different homes in different situations. All you need are two mirrors. the larger mirror, it could also have a frame. HONEY, THIS LOOKS SO GOOD, "LETS PAINT THE KITCHEN CABINETS BLACK !!!!!" MC and I have been doing projects to two homes following this one..
"Show" enormous belief in his talents. Tell him what you want, not how to do it. Stay out of the way and help ONLY IF ASKED. When finished, drown him with hugs and kisses. And there you have it, some insider secrets on how to work together with your significant other. I am very lucky to have MC in my life! Thanks Nicole and Debbie for having us visit your fun, wonderful Blog. We enjoyed sharing our crazy lives with all your readers. Thanks Patty and MC. I think those guiding rules will help many of us as we try to work with our significant other to get projects done. It's no easy task but Patty and MC have been married for 53 years, so I think that's proof that Patty's tips work. 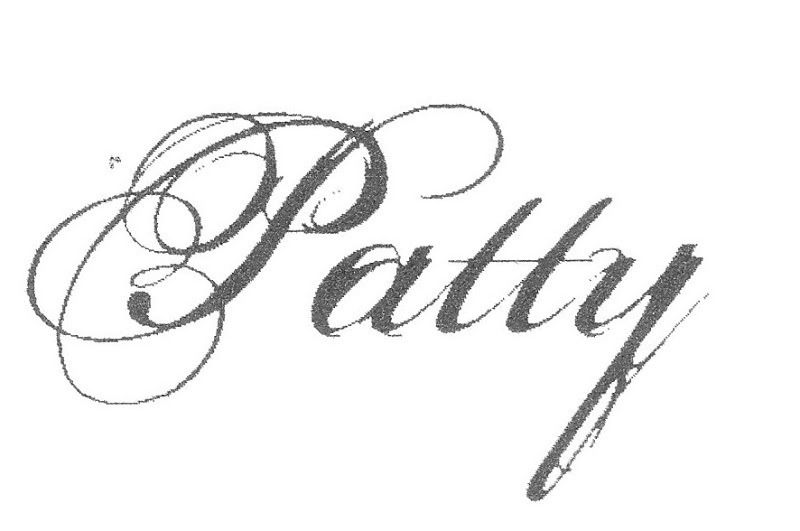 Be sure to check out Patty’s blog. You won’t be disappointed. Be sure too to head out and vote! It's only one of the most important things you can do in your lifetime. Thanks girls for asking MC and me to be a part of your GREAT Blog. We appreciate the invitation and the opportunity to meet all you wonderful followers. No thanks needed. The pleasure was ours. You guys are amazing and have sooooooooo much to share about renovations, decorating and life! They are the cutest team in the blogosphere! :) Love those tips!! Hi Nicole and Debbie - Wonderful to find you! Thanks for featuring the dynamic duo of Patty and MC: talented, resourceful, and super nice! Patty and MC: Thanks for sharing your projects and tips on working together! We all admire your enthusiasm and creativity!! Agreed. Tip number 4 is definitely my fave. I can't even understand living in 35 homes! Merci, and thanks for stopping by and learning a bit from Patty and MC. They, like you, are among the besties lady! Love them and the tips are so right on target. I've witnessed some ugly spats between couples on projects. Not cool. BOTH of my grandparents together make truly a unique pair! It's been a fun ride and I KNOW more is to come... watch and see! Thank you for asking them to guest blog... the blogging community is certainly a great place for them to find their voice and I LOVE it! Aww, what an amazing granddaughter you are! And a lucky one. Those two are gems. There definitely more to come from those two. Designing for couples is one of the hardest things so I think they could easily coin a book or two on how they've managed to survive 53 years of home renovations/designs. Wow Nicole....I joked with MC earlier....We should go ON TOUR!!! Thanks for all the praises ...it's been a great day and a wonderful Birthday. Yes. 53 years of bliss!!! :) and 35 homes.....What a ride!!! My favorite duo. I have a secret crush on MC...guess it's not a secret anymore. I have a thing for bald men...my hubs struts the look!